Have you been eating tons of cake and cookies and lying around doing nothing? What, is that just me? I was just… uh… brainstorming. 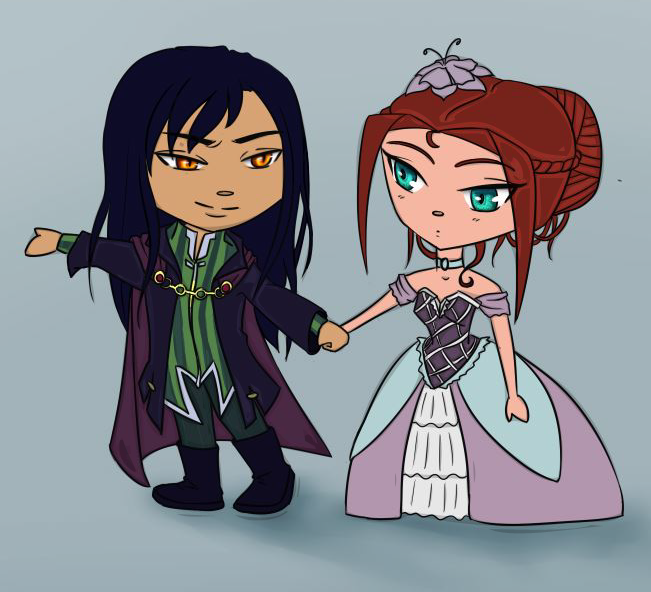 Here, look at this chibi drawing of Ayrius and Ember. This way to the torture chamber. I’m getting back to writing as soon as I can move again (I ate lots of sweets, remember? Warren would be proud). I’ve even written down some ideas for endings. Convoluted true ending is convoluted. Hope you have a fun Easter. Bye~! Do you play or read a visual novel?